Whistles are woodwind instruments and are usually quite easy to play. Some whistles are able to play a variety of pitches, but others are limited in their range. 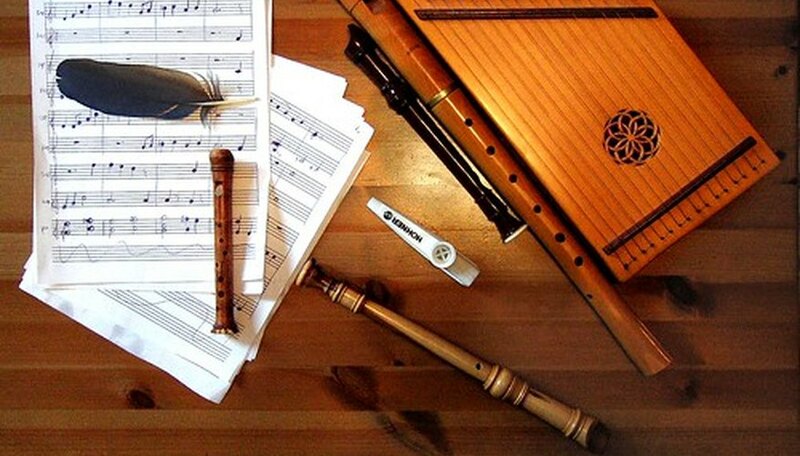 The penny whistle is usually made of bone, wood, reed, plastic or metal. It has between four and seven finger holes, and the penny whistle can play tunes in the keys of D and G major. Other common names for the penny whistle are the Irish whistle and the tin whistle. The slide whistle is also known as the Swanee whistle or piston flute. It emerged in the 1840s, and it's commonly used to generate sound effects in music or cartoons. Inspired by the sounds of the village organ, Joseph Picco invented the picco pipe. Although this whistle is only about 8 centimeters long, it has a range of up to three octaves. The picco pipe is typically made of wood and has no more than three holes. Dog whistles are used to train both dogs and cats. The pitches produced by dog whistles are inaudible to the human ear. Dog whistles are also known as silent whistles. The most popular whistle is the pea whistle. Pea whistles are small, and they're usually made of metal. There's small ball inside it. When it's blown upon, the whistle produces a trilling noise. Pea whistles are commonly used by referees and police officers. Whistle. Jeremy Montagu. Grove Music Online. Oxford Music Online. Tin Whistle. Norman Dannatt. Grove Music Oline. Oxford Music Oline. Ebony Haywood began writing professionally in 2009. Her work has appeared on eHow. She holds a Bachelor of Arts in music from California State University in Dominguez Hills.